LG U+ strives to create a healthy environment where employees enjoy coming to work. 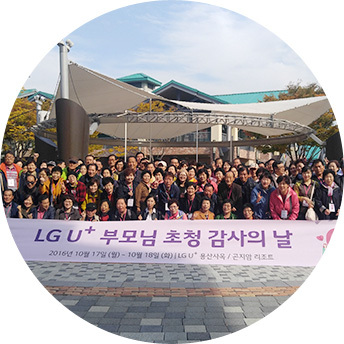 At LG U+, we implement a variety of programs to ensure a healthy work-life balance. Employee and Family Care aims to make the whole family happy, with programs for employees of all ages, including Parents Appreciation Day, special talks on relationships, congratulatory gifts for weddings and childbirth, family camping trips, and special talks on raising children. Counseling services are also offered nationwide along with U+ Happiness Meditation for mental well-being. Additionally, the office fitness center and massage spots promote physical well-being. Furthermore, the computer shut-down system also ensures that everyone leaves the office at reasonable times to promote a healthy work-life balance. A culture of appreciation is being established through the online compliment message and offline compliment and thank you card programs. 1,000 won is donated for every online compliment message to buy hearing aids for children with a hearing impairment through the ‘Compliment and Gratitude +’ Campaign. 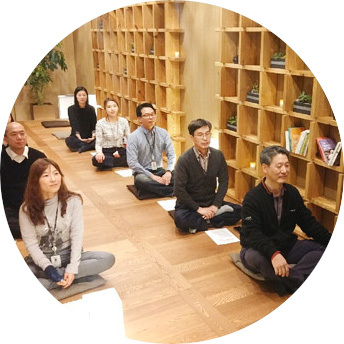 The ‘Joyful Culture’ is aimed at assisting leisure and personal development activities, and support is provided to more than 20 Informal Groups (in-house clubs). 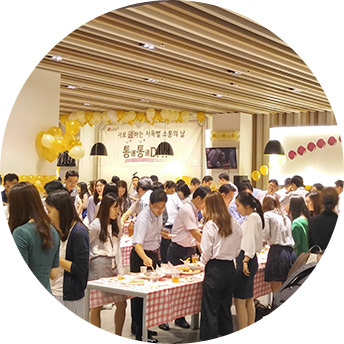 The Change Agents (CAs) and the Bear Party (TongTong Day) Program are helping to spread a joyful work culture throughout the organization and facilitate communication among the organization members. 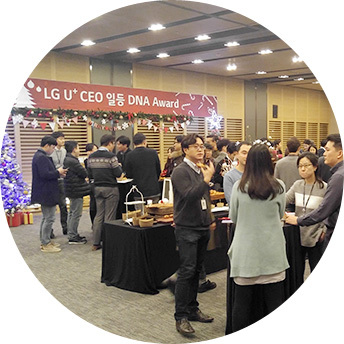 Also, the ‘The Best DNA Awards’ are held to recognize and encourage hard-working executives and employees as part of our efforts to create a positive atmosphere within our organization. LG U+ aims to enhance efficiency and promote creative autonomy at work. 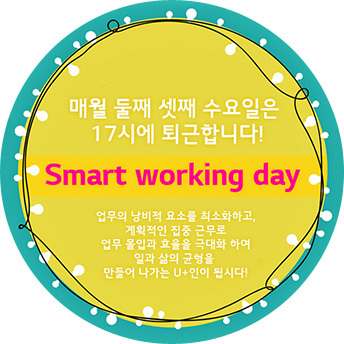 Our Smart Working Day permits employees to leave an hour earlier on the second and third Wednesdays of the month, and we also support a casual dress code. Reports do not follow strict formats and the Smart Meeting Rule campaign is improving meeting and reporting culture. 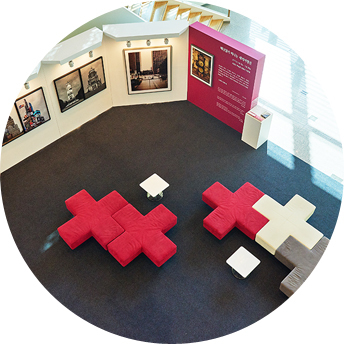 The Art and Healing Gallery, dartboards, and music broadcasts during clock in, lunch, and clock out times also help stimulate the five senses and foster creativity. Furthermore, career development programs grow professional and personal skills for our employees with events like regular and surprise in-house contests. 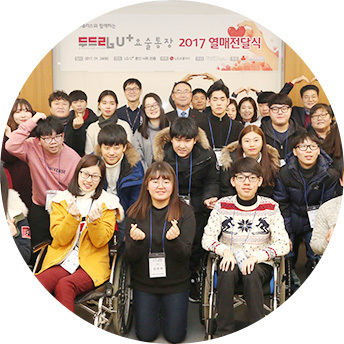 The Joyful Sharing ON+ corporate social responsibility initiative at LG U+ provides opportunities for executives and employees to make donations and volunteer in the community. 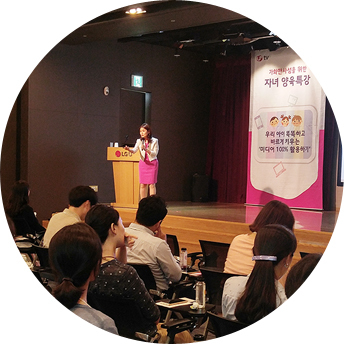 Regular donation programs like the 1,000won Love is a small funds campaign to assist colleagues and community members in need. The Do Dream U+ Magic Account helps teens with disabled family members become self-reliant, and the Executives Social Contribution Fund assists disabled community members in finding homes. 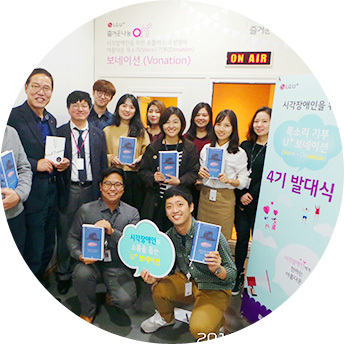 In addition, other sharing programs like U+ Vonation involved employees who donated their talents to record audio books for the visually impaired. Similarly, the 1 Team 1 Sharing program and Single ON+ programs brought together single employees with other singles in other companies to auction off items donated by executives and clothing worn by advertising models. 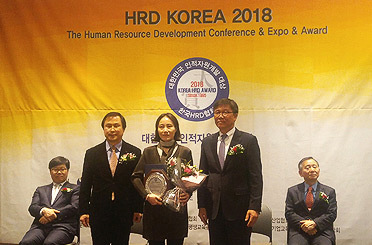 LG U+ was honored with an award in the education category for its Joyful Workplace Program at the HRD Korea 2018, co-hosted by the Korea HRD Association and the monthly magazine, HRD. 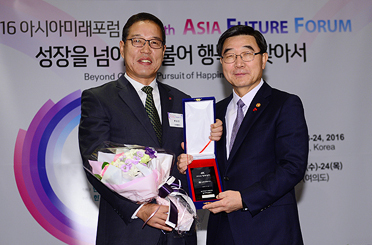 The Happy Workplace Awards recognizes Korean companies that orient their management philosophy toward the happiness of organization members. Among the five award categories (Hope, Consideration, Rewarding Experience, Innovation and Enthusiasm), LG U+ was honored in the Hope category.